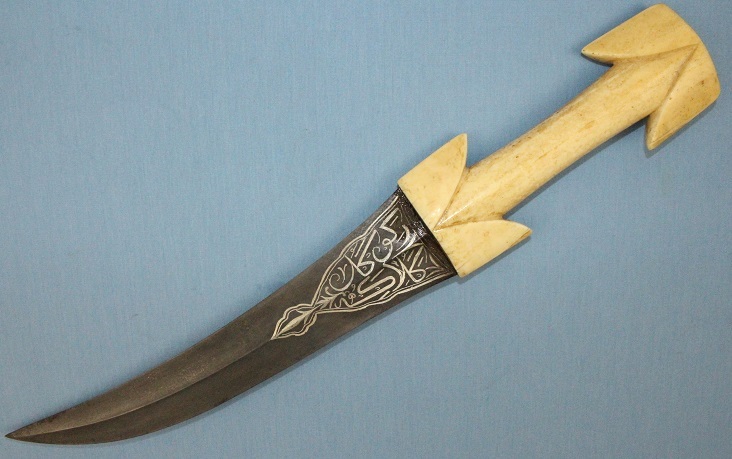 A good large and fine Albanian Khanjar with a dark high contrast wootz blade. 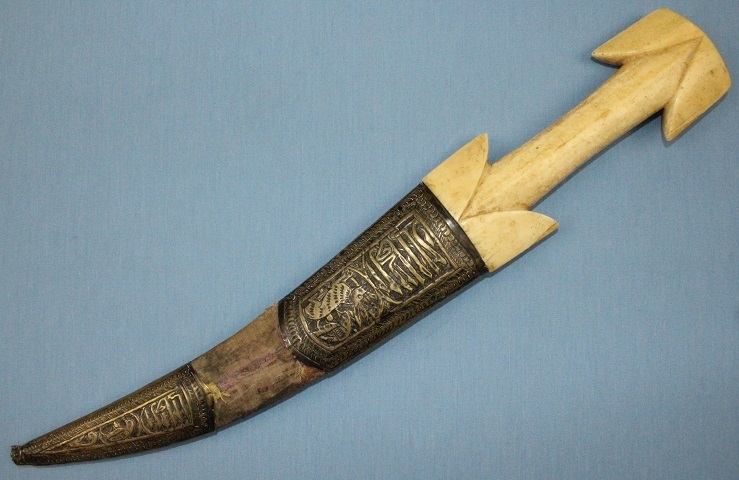 This large dagger measures just over 47cms long in its sheath, 46cms long out and has a blade length of 28cms. 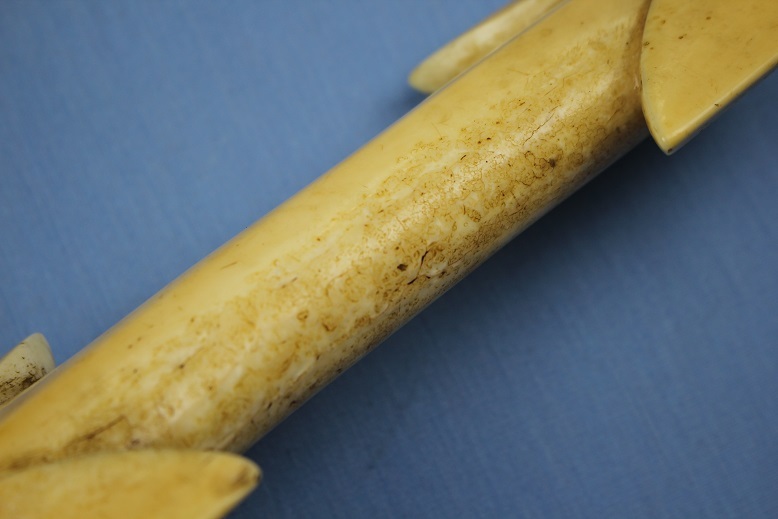 The large carved walrus ivory grip remains in very fine condition throughout and displays an old warm caramel coloured patina. 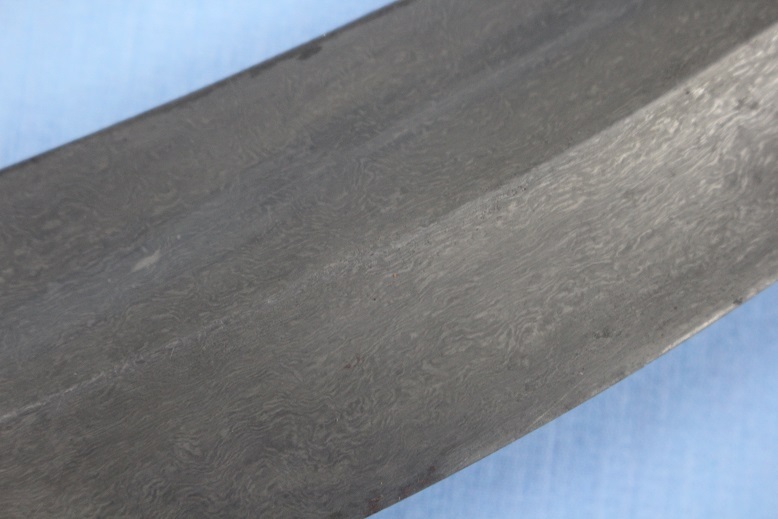 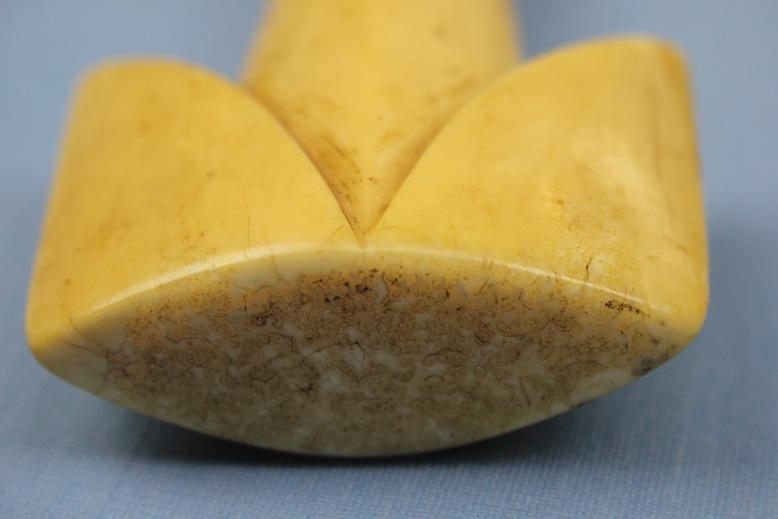 Clear "marble" like surfaces of the exposed inner core can be seen within the sides of the grip and pommel. 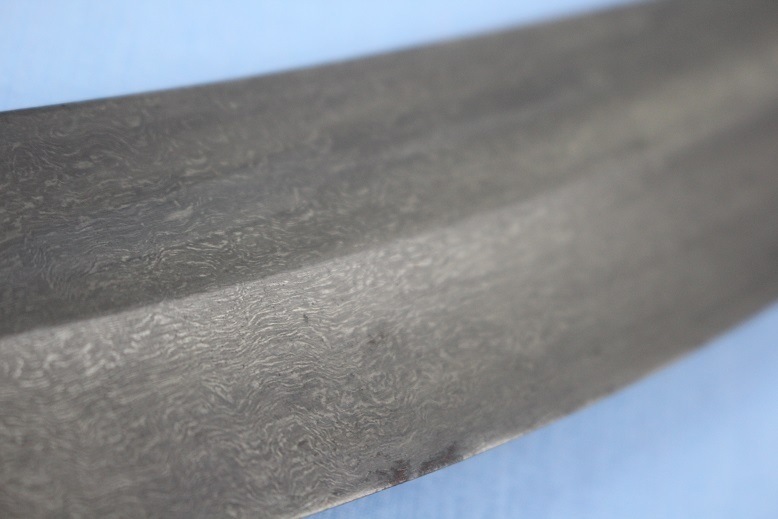 The blade is a fine, high contrast black wootz steel. 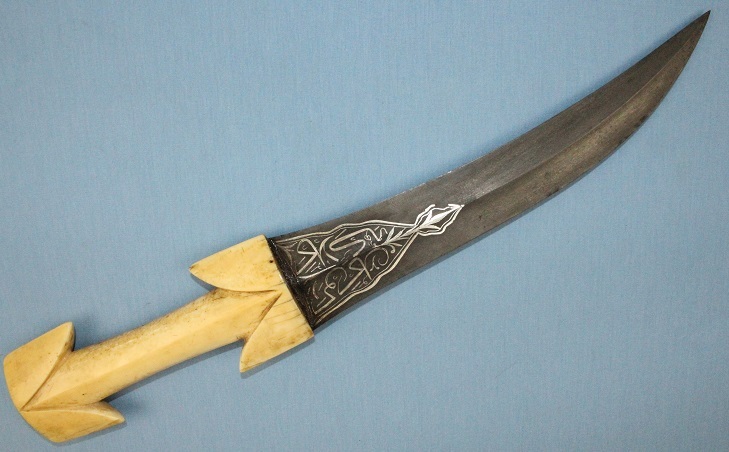 The broad blade is just under 6cms wide at the base, has a central raised medial ridge from which a beautiful curved taper flows through to the cutting edges. 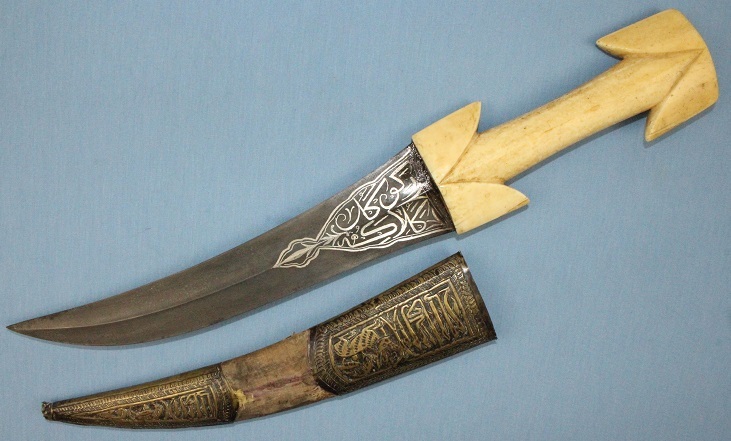 To the forte of the blade, there are differing cartouches or cursive Arabic script to each face, both completed in applied silver in the "Koftgari" method. 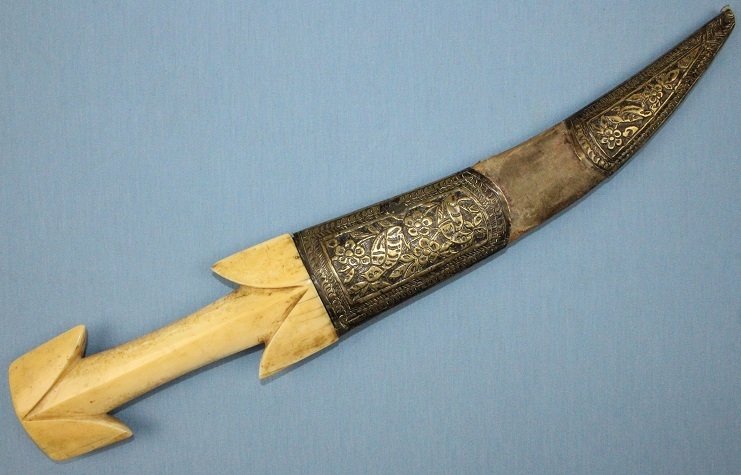 The sheath is simple repousse brass covering, worn with age and use as is what once was a vibrant purple velour that separated the brass panels. 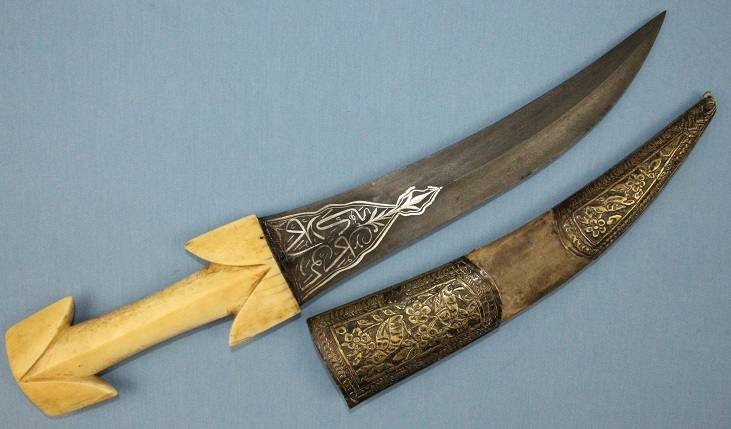 A fine and rare Albanian Khanjar that could grade up very well with minor restoration work if desired.